Technical experts in the design, manufacture and supply of engineered, architectural glass rooflights for residential and commercial buildings. Glazing Vision are a UK manufacturer and invest heavily in new technologies, equipment and expertise, manufacturing all our rooflight products at our 65,000 sq ft factory in the heart of rural England. Glazing Vision provide a comprehensive range of skylights to help bring light, air and space into the home. The range includes state-of-the-art bespoke skylights, fixed flat and pyramid systems, walk on glazed roof lights, access box skylights and hinged ventilation roof lights, all manufactured with a sleek, minimal framework to meet building regulations such as Part L and Part Q. In addition, we also offer a bespoke in-house rooflight design service, employing the industry’s most talented designers and mechanical engineers to create contemporary and technologically advanced rooflights for virtually any space. 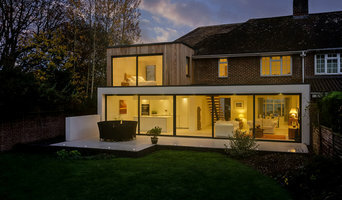 We work closely with leading architectural practices across the world, using the latest CAD and 3D software to design and build unique and intelligent skylight solutions for award-winning buildings. Glazing Visions Secure and Secure+ rooflight range are the first to be tested against the new standard LPS2081 Issue 1:2015. Secured by Design was established in 1989 and is the UK Police flagship security initiative which combines the principals of ‘designing out crime’ through physical security and layout across all realms of the built environment. In 2009 Glazing Vision set up an International Division to service mainland Europe, Scandinavia and other destinations throughout the world. Find out more about using Glazing Vision rooflights to help you to meet daylight, ventilation and access requirements on Glazing Vision's website. "Quality, value and a fabulous view" - not our words but those of a recent client, Mark Sanders. 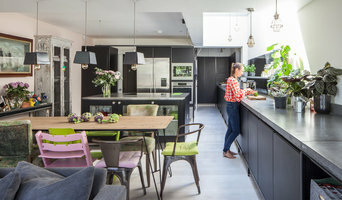 Whether you are planning to renovate your home, or building a new home from scratch, getting your glazing right will be crucial to the success of your project. We will work with you and your architect to help ascertain the right glazing system for each position, to ensure that the finished result is exactly what you want. With showrooms in West London and Poole, as well as our own manufacturing facility in Poole, we design and install a wide range of products, including bi-folds, sliding door systems, glass structures, rooflights, windows and glass balustrades. We are celebrating our 10 year anniversary this year and are delighted that clients return to us, project after project. Get in touch with us today! We are a small family run business making high end, elegant, made to order, factory finished, single and double glazed timber windows and doors. We offer a personal service to see you through your whole project, whether it be replacement windows in period properties or new builds. We work alongside local installers in the Kent area to offer our customers a start to finish service or we can do supply only nationwide. What can specialist window companies, glaziers or window fitters do for me? Specialist window companies and fitters can diagnose problems and prescribe a choice of remedies, while keeping in mind factors such as the style of your property, ease of operation, budget, noise reduction, thermal efficiency (the lower the U-value, the better), durability and maintenance. It is a balancing act that only a glaziers can deftly strike. Most window companies will be able to take care of both supplying and fitting your new or replacement windows, but if you have already purchased your windows from a window manufacturers then you can find a fitter to just take care of the installation. Where can I find the best choice of window manufacturers and window installers? Right here on Houzz. Look for Windows & Double Glazing professionals in the Find a Pro category and then save images of window styles you love in an Ideabook. Take time to look through each window company’s profile and get a sense of where their strengths and specialisms lie. Make sure your window manufacturers’ work comes with accreditation: whether from FENSA (Fenestration Self-Assessment Scheme), FMB (Federation of Master Builders) or TrustMark. Find window companies and glaziers on Houzz. 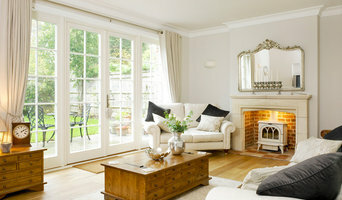 Narrow your search in the Professionals section of the website to window companies. You can also look through photos by style to find new and replacement windows you like, then contact the glaziers, window manufacturers or companies who installed them.